In 2019 I am focusing on reading recently published books but also including old books and texts including books from the pre-1900 about cities and design. I am hoping to read these book to gain some knowledge and understanding of past issues and topics to see if there are trends and ideas that could provide me with some ideas or inspiration for 2019. Why would I want to read past text? My theory is that many technologies and ideas are coming full circle including the electric car (first practical electric car was 1859) which have reappeared numerous times in history over the past 160 years, therefore there many issues that cities and people faced in the 1800-early 1960’s (density, pollution, etc that we could further understand and utilise). I had decided this a new year goal for 2019 but was thought about broadening it to futurists of 1980’s after recently reading the Isaac Asimov piece from 1983 predicting what 2019 would hold for the world from a 1983 perspective and it was interesting to read that he was not far off on many of his predictions about Computerization, Jobs and Pollution, however sadly his prediction about Education did not eventuate. “Education, which must be revolutionized in the new world, will be revolutionized by the very agency that requires the revolution — the computer. Schools will undoubtedly still exist, but a good schoolteacher can do no better than to inspire curiosity which an interested student can then satisfy at home at the console of his computer outlet. There will be an opportunity finally for every youngster, and indeed, every person, to learn what he or she wants to learn. in his or her own time, at his or her own speed, in his or her own way. Will drones make deliveries or a transportation alternative? Over the past 5 years there has great interest in drones for two main reasons – first as a transportation alternative and secondly for delivering goods. When it comes to transportation, the flying car or now a personal drone has been envisioned as the utopia for many to avoid traffic, however, I think that there are too many factors that will make this not a reality in the near future. For delivering packages the drones have also been seen as an easy solution and Amazon and other services have showcased and announced drone services for deliveries. Drones have common problems that make them unviable for delivery and transport in the current environment. The amount of noise that drones create from the motor and the turbines is about 75-85db about some level as an alarm clock, snow or leaf blower. Imagine in a dense area with 5-10 drones making deliveries in the space of an hour, you would tire of the noise quickly. The current regulations in many countries create restrictions such as no built-up area, not within 25m of people, not with a flight zone (including helipads), stay at a low height. These regulations are due to concerns about safety and people. There are many issues with drones especially used as transport and what always springs to mind is the building helipads that were dotted across cities such as New York and how one incident in 1977 when the helicopter accident killed 5 people including someone on the street. I think this will be the main reason that many cities will be cautious in allowing drones to land in the city. They may alternatively land on the helipads or designated places near rivers or open areas with safety arrangements and instant emergency equipment. I think that there is a place for drones and their current uses including surveillance for wild fires, landmine detetion, police and rescue efforts, farming (livestock and crops), urban planning, construction, property management, however, the days of getting an share or personal drone ride are still in the future and will require a great deal of planning and regulation to ensure that residents don’t have to worry about drone noise and safety. WordPress 5.0 is officially out. WordPress is the editor and backend system that I use for all my websites that I build and maintain. The latest was released on December 6 with many new features including a new editor and blocks(parts of the posts/articles). New tools in the Editor includes the ability to insert blocks and move them up and down the post (similar to Medium/Aweber/MailChimp) which is great as previously, it was tedious importing/uploading the images, inserting and then moving the images around then formatting the which sometimes never quite working. The new editor is easy to use with the adding blocks or just tapping enter twice for new block/paragraph. For some of my sites, I will stick to the old editor and that is for one reason, the themes that I use are based and customised to the previous version so when you create a new post/article in the new editor it sometimes has issues with sizing images and text. I think that many bloggers will wait until there are themes that have been tested and optimised for WordPress 5 before fully utilising the functions of the update tools and blocks. I am going to trail and test WordPress 5 on this blog to see how I best utilise the new functions/tools and editing style, I am hoping that it will actually speed up my workflows. Overall the layout and the way that the UI works is very reminiscent of Medium and a Email Service (Aweber/MailChimp) in terms of the adding a cover image, title and then clicking a plus to add elements and also moving around blocks(similar to Email Service). There is also the new Twenty-Nineteen theme from what I can see (I made it active for this website) doesn’t have a sidebar only a footer, so it pushes all the sidebar widgets into the footer. Independent reviews (peer reviews) are important for projects as they provide an assessment and feedback from an expert who is impartial and not involved with the project to critically review and evaluate the content. The quality of a project can improve with successive reviews at various milestones (end of stages) to ensure that issues are identified and either eliminated, substituted or controlled and allowing for a better result. Reviewers need to be impartial and provide critical feedback however, they also need to balance the project requirements to ensure that quality and function do not override design and innovation. Over the last six years, I have acted as the independent reviewer for many projects in Australia and China. These reviews were either design reviews, technical reviews or both and were seen by teams as helpful in providing an independent expert review of the project design. As we often know that large or complex projects can allow for basic and simple elements to be missed or not communicated as the people undertaking the project become “too close” to the design and don’t see the issues and opportunities. This is why an independent reviewer is key in offering a critical eye but also often providing a different perspective or solution to a problem. Reviews can take many forms they can be formal with written documentation providing extensive comments and markups of the documents. Or it can be an informal desktop review that allows the team to go through the documents and take notes during the course of the discussion. Both formats have their pros and cons including the time required, finding an expert who is available. Overall, I encourage all design firms to develop a design process that involves an independent reviewer who can offer guidance, ideas and solutions that improves the design and technical quality of your project. As a landscape architect, one of the hardest things is to find great people to collaborate with. And we often have to look to procure services from other professionals including architects, engineers, horticulturalists, ecologists, irrigation designers, lighting designers, landscape contractors and many others. How we obtain these services is often based on past experience and word of mouth. Some landscape architects consistently use the same professionals because they know their work and enjoy working together. However, we often need to obtain new services due to unavailability, a new area of expertise, or you have a project in a new location. Often we seek the experience of others to find new people to provide a service but how can you reduce the risk of working with the wrong consultant? Past experience – does the company have past experience in that area of expertise and location? The right people – do they have the right people with the expertise you need? Also are those people available? Willingness – are they willing to work with a new client? (i.e. you) – some consultants have a large pipeline of work and aren’t seeking new clients. Qualifications and certifications – does the company have the right qualifications and certifications such as ISO9001 or ISO45001? Insurances – do they have the right insurances and coverage? Industry reputation – does the company have a good or bad reputation? Are there particular people in the company who are great to work with? These are ways that you can minimise risk when looking for consultants to join your project team. It also comes down to relationships and working well together. If you can build a good relationship then it is a pleasure to work together and create projects as a team and you will also start to recommend each other to others. Word of mouth and networks are a great way to procure and win work. I have had the idea for a while to write first-person experiences of visiting landscape architecture projects. The idea was to not critique but provide the reader with a narrative of walking through the site. 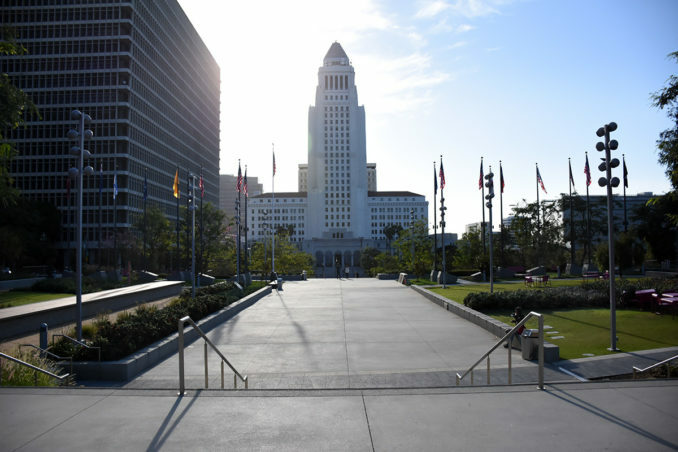 My first “Site Observation” was on Grand Park in Los Angeles. I enjoyed writing it but it did not get the readership that I thought, so I am still working on the next one. Site Observations is a new feature of WLA. Seeking to provide a first-hand experience of landscape architecture projects. These are not design critiques but seek to provide observations, impressions, perceptions of the site and experiencing the space. 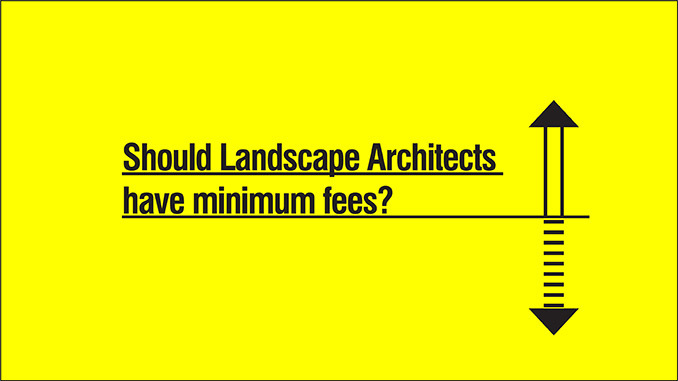 Should landscape architects have minimum fees? This blog post caused some interesting discussion but less about the topic and more about the act of discussing minimum fees. Depending on the which country you are located and the legal frameworks and legislation around fees it is advised that you seek legal advice prior to undertaking any discussion public or private. My preferred alternative is for the profession to concentrate on promoting landscape architecture and the value you bring clients, the public. Providing a minimum fee scale may provide some comfort that we are “all playing on a level playing field” but it may only work for short period of time as eventually some landscape architects will charge less than the minimum due to a lack of work or working for smaller profit margins due to smaller firm size or outsourcing work. This would lead to landscape architecture or government organisations having to enforce the minimum fee regulations which in turn would create administration and costs that many organisations are not willing to bear. The alternative is for organisations and firms to work towards promoting the profession and the value it brings rather than policing the infighting over minimum fees. We all need to get more involved in providing more education and promotion to the public and clients about the value of landscape architecture and in turn, this will enable us to charge fees that are commiserable with the services we provide. DISCLAIMER: This post is for educational purposes only. The content is intended only to provide a summary and general overview on matters of interest. It’s not intended to be comprehensive, nor to constitute advice. You should always obtain legal or other professional advice, appropriate to your own circumstances, before acting or relying on any of that content. This advice is general in nature. As a followup to my last post on Landscape Architects leading projects it seemed appropriate to look at the challenges that landscape architects face as they start taking more of a role in managing teams and clients. As landscape architects take the lead more and more the start to lead teams that include architects, engineers, artists, designers and this brings with some challenges especially for small landscape firms. This includes managing teams and ensuring that the clients brief is met along with understanding the issues, constraints and opportunities these projects present. 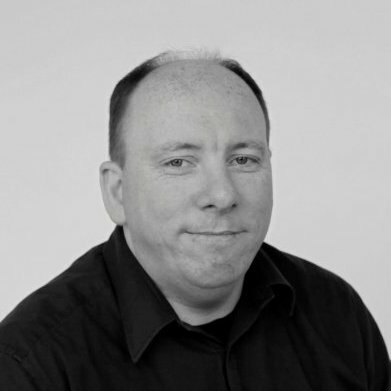 Damian Holmes is the Founder and Editor of World Landscape Architecture. A Registered Landscape Architect with a passion for landscape architecture and has extensive experience designing and constructing projects in Australia, China, South Korea, & Canada. What would be the ideal final year design studio at university?